The yearly Japan Expo Malaysia is back bigger and better this year! It’s the event you should not miss or, you will end up with regrets. There are many reasons why you should visit this event. It is not all about the exhibition but, there are many Japanese artists that will be performing and meeting their fans here in Malaysia. This expo itself is perhaps the largest scale of expo which in Malaysia that exhibits Japanese culture and products. You can get all Japanese kinds of stuff here, from food to fashion- you name it, they have it. For our Muslims friends, fret not as they also have halal Japanese cosmetics up for purchase! One of the artists that will be there is Pikotaro. 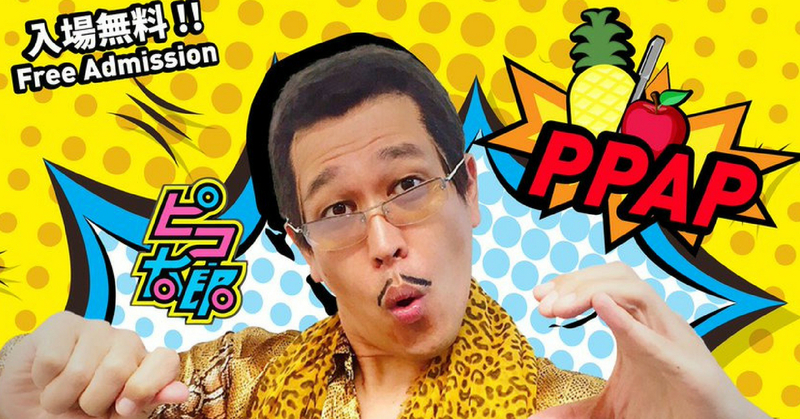 Some of you probably don’t know him by his name but we are sure you know him by one of his viral video, Pen-Pineapple Apple-Pen (PPAP)! If you still don’t, let us help you refresh your memory with this video. Want to experience this expo in another whole new level? Get dress in beautiful traditional Yukata just like the Japanese! It’s okay if you can’t go to Japan. You get to enjoy the Cosplay Parade while wearing the Yukata which makes you feel as if you are in Japan even when you are not! There will be a booth in zone B of Japan Expo Malaysia on Tokyo Street Level 6 that will be offering free Yukata trial experience as well as rental. So, check it out while you are there! Last but not least, there will be a Cosplay Parade. This parade is open to anyone, which means anyone is free to dress up as their favorite character while enjoying the parade. Join the Cosplay Parade on 28th July and meet new people. Who knows you meet your future best friends there who share the same interest as you? So what are you waiting for? Mark your calendar now and don’t miss this huge event. Free admission!